U.S. President Barack Obama advised Greek Prime Minister Antonis Samaris to seek a balance of austerity and growth, as his country works to overcome severe unemployment and other economic problems.After their meeting in the Oval Office, Obama and Samaris agreed that Greece will have to balance efforts to grow its economy and create jobs with steps to cut its debt. The president said the government in Athens cannot rely solely on austerity for its economic recovery. “It is important that we have a plan for fiscal consolidation, to manage the debt, but it is also important that growth and jobs are a focus,” said President Obama. Greece faces a tough challenge. While pulling out of a lengthy recession, it must also reduce its massive debt and conquer high unemployment. 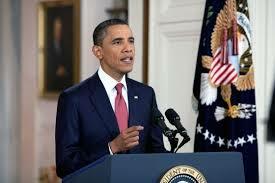 President Obama said he is confident that Greece can succeed. “I think Prime Minister Samaris is committed to taking the tough actions that are required, but also, understandably, wants to make sure the Greek people see a light at the end of the tunnel,” said Obama. The prime minister also expressed confidence that his government’s efforts will be effective. “The sacrifices made by the Greek people are huge, but they are not going to be in vain,” said Prime Minister Samaris. Samaris agreed with the president that efforts to battle Greece’s economic problems must include both austerity and growth. “Of course, we are going to do what has to be done, as far as structural changes are concerned, but our emphasis has to be on growth and on the creation of new jobs, especially for the youth,” he said. New figures show unemployment in Greece hit a record high 27.6 percent in May, and Samaris said the figure for youth is 60 percent. Greece has been surviving since 2010 on a $319 billion economic bailout from the International Monetary Fund and European lenders. The Greek leader said if and when his country overcomes its economic problems, it will be a European success story.